A scintillating pair of Minnie Mouse earrings, the perfect pair for any Disney fan! 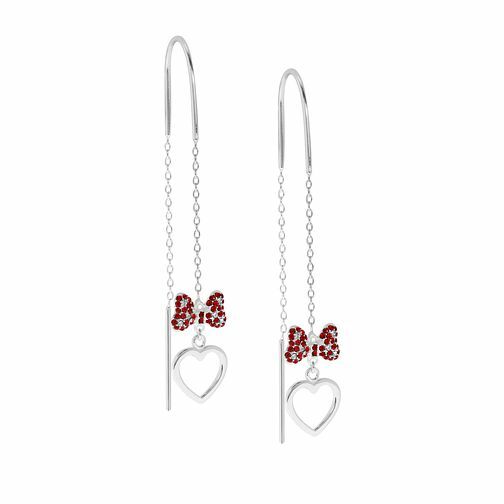 The trademark red and white bow is immortalised in shimmering crystals, with an adorable silver tone open heart charm hangs below. This stunning set of drop earrings are perfect to add a splash of colour and contemporary style to occasionwear.